Tune in for a very special episode of Pit Bulls & Parolees Saturday, Nov. 24, at 8 PM, and take part in our annual You Watch. We Give. event. Animal Planet will make a donation for every viewer who tunes in, up to $50,000 in total, to Villalobos Rescue Center. 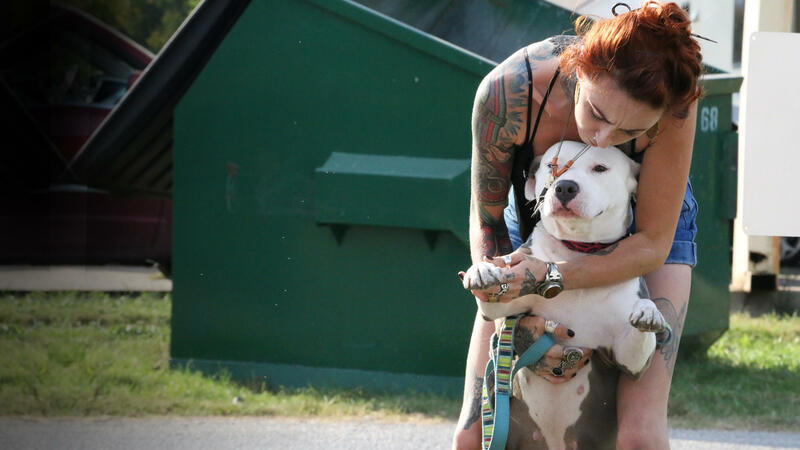 Don't miss your chance to give back to Tia and the community of pit bulls and parolees she tirelessly dedicates herself to. With more than 300 dogs in its care, Villalobos Rescue Center may be the largest pit bull rescue in the United States (if not the entire world). Founded by Pit Bulls and Parolees star Tia Torres, Villalobos runs on a foundation of volunteers and donations to cover the costs of food, vet care and more. If you're interested in adopting a Villalobos dog, visit the ADOPTION page on the rescue's website. No room in your home for a four-legged friend? Villalobos allows individuals to sponsor dogs and put forth donations to aid in his or her daily care. You can learn more by visiting the Villalobos SPONSOR A DOG page. Want to do more? Visit the Villalobos Website for more on VOLUNTEERING and DONATING.